Episode #33 – Rogue One… With Vibroblades! 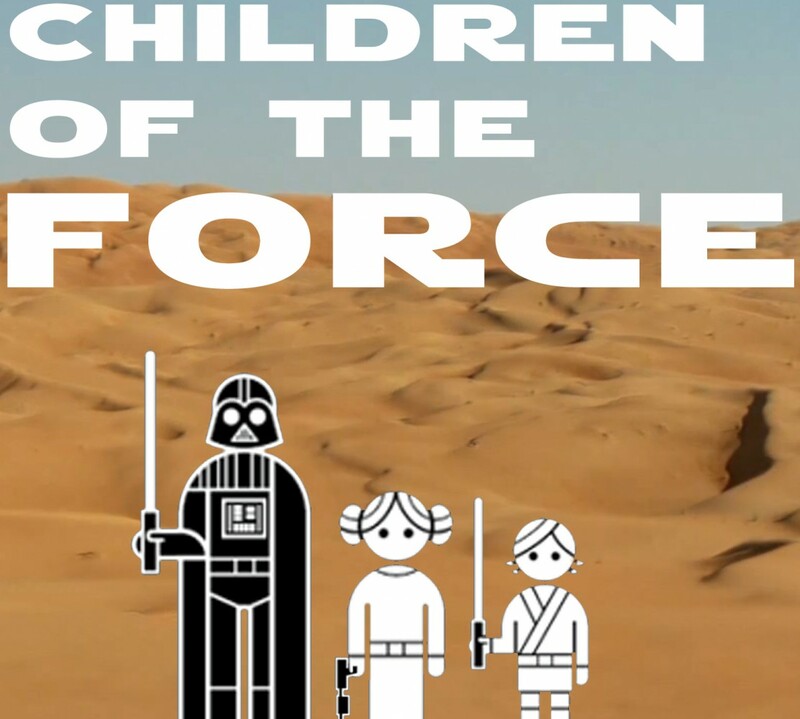 It’s episode 33 of Children of the Force! We’ve been going through the Blu-ray of The Force Awakens, of course. So far, we haven’t watched too much behind the scenes stuff, but what we’ve seen is pretty cool. And it’s great to be able to pop in the movie whenever we want. Sort of surreal. But we’re not just watching The Force Awakens. We’re still savoring The Clone Wars, so we’re re-watching the Ahsoka arc that is the finale of season 5. Powerful stuff. We continue our read-through of The Marysue’s Resistance, Caring and “Mask”ulinity: The Feminist Message of the Dude’s in the Force Awakens by Kate Bennion. This week, we’re talking about old Han and how he’s so much better than young Han. Liam cosplayed as a Sith who killed Luke Skywalker and stole his lightsaber. We got our first Rogue One trailer! So we talk about that for quite some time. The kids are waaaay more excited for it now than they were before this thing came out. And so am I. Also in the news, an Ahsoka novel is coming, and there’s an Aftermath: Life Debt excerpt over at Entertainment Weekly. Our canon news this time around comes from Aftermath by Chuck Wendig. Did you know that after the Emperor was killed on the second Death Star, the Empire continued to insist he was still alive? They even went so far as to put a decoy in front of the cameras in order to convince the galaxy. We have four jokes today, all from Chris from Star Wars Kidscast! Here are the set-ups. See if you can guess all the punch lines before listening to the show. Who’s the richest man in the First Order? Who is the tallest man in the First Order? Who is the biggest hockey fan in the First Order? Who is the grossest man in the First Order? Our question this episode comes from listener Asher who sent us a voicemail asking what our favorite Star Wars musical theme is. It’s a tough question and I think our answers change quite often. What is your favorite Star Wars musical theme? Why don’t you send us a voicemail over at speakpipe (www.speakpipe.com/childrenoftheforce) and let us know. We’d love to play your answer on our next episode. The kids ask me the name of that droid in Maz Kanata’s castle who alerts the Resistance to the presence of BB-8. I get it half right.